“Found GoProHero3+ County Line beach Los Angeles approx April 23 2014. Please send pic of yourself and it’s yours! Cam loaded with images of 1 male surfer with white soft board. If you think that this might be yours, please send us a message with as many details (PICTURE!) as possible: What were you wearing when the camera was lost (colours), what were you doing, etc…. We’ll pass it to Matt C! “Hi! I found a GoPro Camera on the side of the road in Boca Raton, FL. 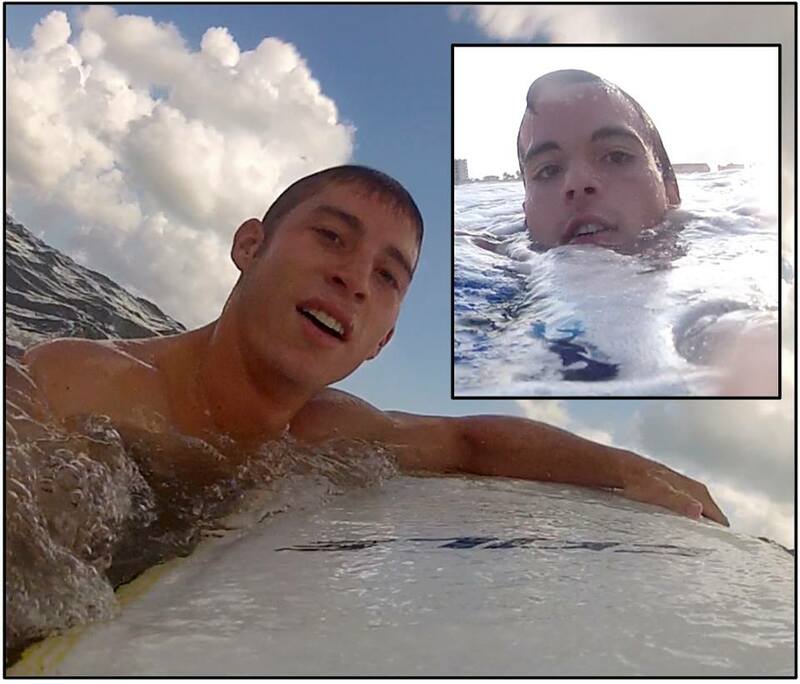 Please let me know some details about your GoPro if you lost it on 4/28/14 in Boca Raton, FL. If you think that this might be yours, please send us a message with as many details as possible: What were you wearing when the camera was lost (colours), what were you doing, accessories attached, etc…. We’ll pass it to Cory R.! If you think that this might be yours, please send us a message with as many details as possible: What were you wearing when the camera was lost (colours), what were you doing, etc…. We’ll pass it to Gary! “I Found a Go Pro in Portland Or near Mississippi Ave morning of April 26th, 2014.. Send details with what is on video for prompt return! If you think that this might be yours, please send us a message with as many details as possible: What were you wearing when the camera was lost (colours), what were you doing, etc…. We’ll pass it to Chris! “FOUND A HERO 3, at la Caleta, Dominican Republic with all equipment drowned in the sea. Hope to find the owner!!! If you think that this might be yours, please send us a message with as many details as possible: What were you wearing when the camera was lost (colours), what were you doing, accessories attached, etc…. We’ll pass it to Jose R.! “Found a GoPro 3 with waterproof case and mount on Pensacola Beach, FL on April 15, 2014. Washed up near Avenida 17. Please identify by photos on camera. If you think that this might be yours, please send us a message with as many details as possible: What were you wearing when the camera was lost (colours), what were you doing, etc…. We’ll pass it to Tim! If you think that this might be yours, please send us a message with as many details as possible: What were you wearing when the camera was lost (colours), what were you doing, etc…. We’ll pass it to Michael! “I found a GoPro Hero 3+ at a beach in Orange County, CA on 4/8/2014, around 3:00pm. I looked at the photos and know it belongs to a 10-13 year old boy. So if anyone can help me find him that would be great! If you think that this might be yours, please send us a message with as many details as possible: What were you wearing when the camera was lost (colours), what were you doing, etc…. We’ll pass it to Josh! If you think that this might be yours, please send us a message with as many details as possible: What were you wearing when the camera was lost (colours), what were you doing, etc…. We’ll pass it to Rene! FOUND ! : near Fort Collins, CO, USA on 2014-04-?? “I found a GoPro in the Fort Collins, CO area. I have viewed the video on the camera and know exactly the situation of the loss. Please reply with details. If you think that this might be yours, please send us a message with as many details as possible: What were you wearing when the camera was lost (colours), what were you doing, etc…. We’ll pass it to Mark!